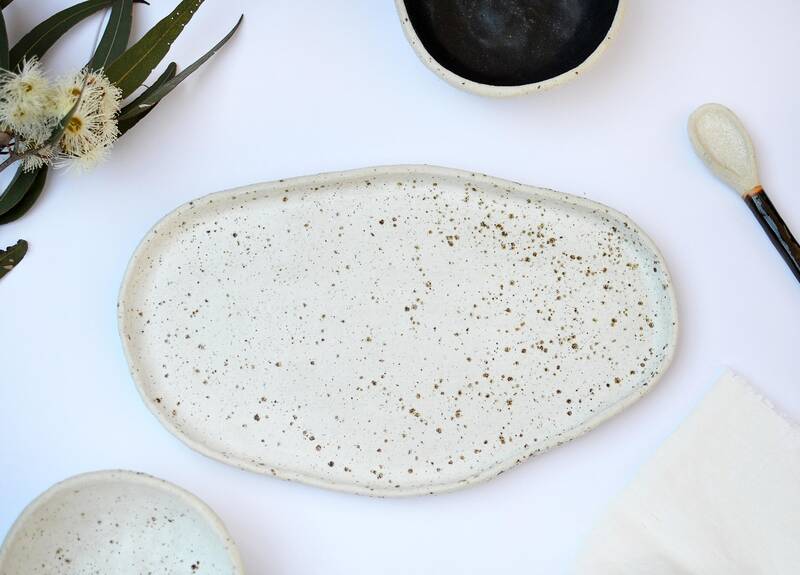 Made from gorgeous speckled clay, this sweet serving set will make a statement on your table and is perfect for serving condiments, dip, sauces or salt + pepper. 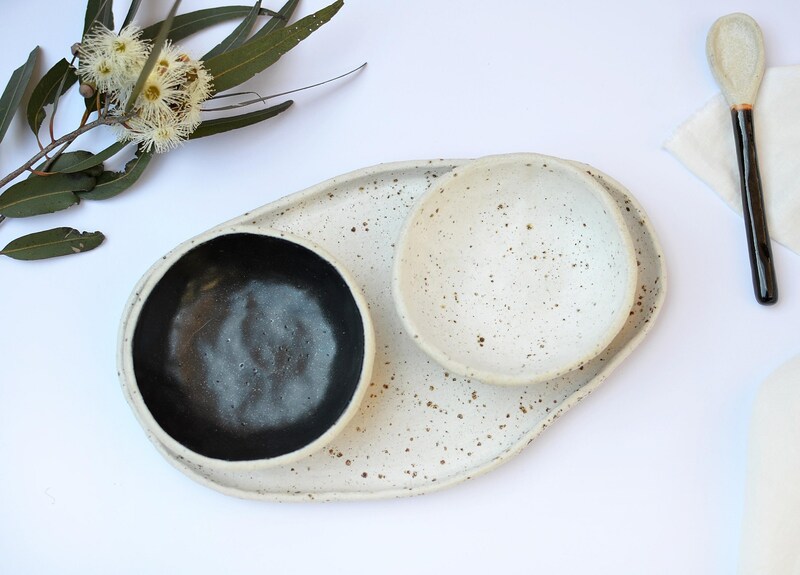 It has been hand made from speckled stoneware clay with a sandy, rustic texture and the exterior of the bowls and base of the tray have been left raw and unglazed for a contemporary, natural look. 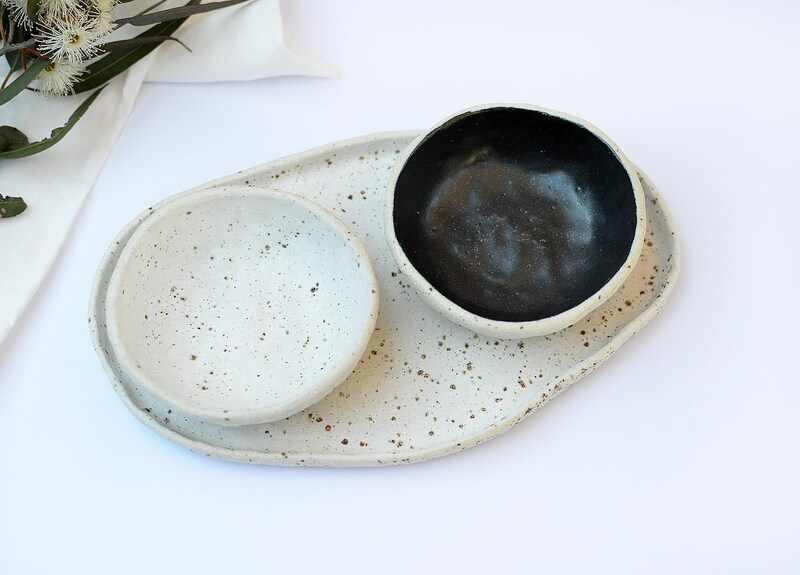 The black bowl features a smooth matt glaze interior and the white bowl has been decorated with underglaze and finished with a clear matt glaze. As the tray has a sandy, slightly rough texture it is recommended that you use a placemat or trivet underneath to avoid scratching delicate surfaces. It is a hand made, one of a kind piece, therefore there will be subtle variations in appearance reflective of hand made pieces. Hand made with love in Australia. • Irregular shape tray measures: 28cm (11") length by 16.5cm (6.5inch) wide. 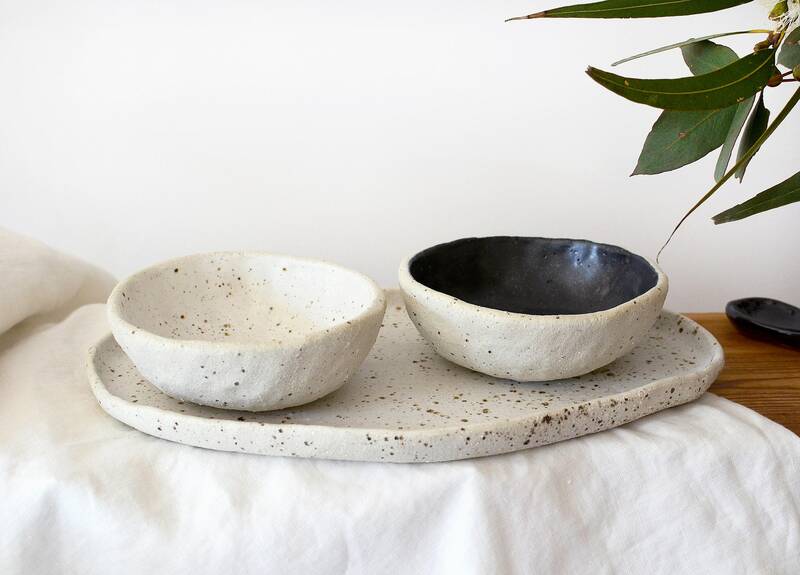 • Black and white bowls measure: 12cm (4.75") wide x 4cm (1.5") high. • Made from ceramic and fired to stoneware temperature. • To ensure it's longevity it's recommended that you hand wash only.